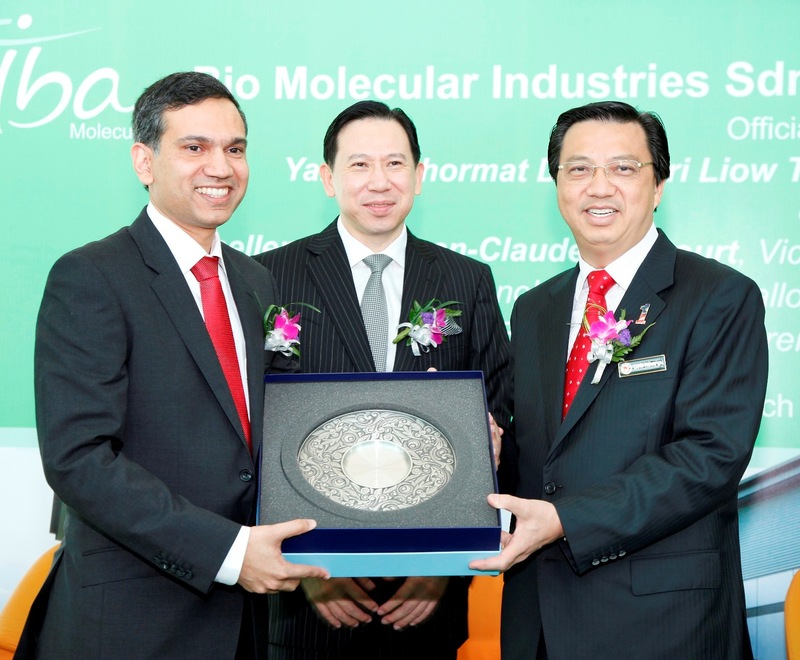 Bio Molecular Industries Sdn Bhd (herein after refered to BioM) is a company incorporated in Malaysia under the Companies Act, 1965 on 11 May 2005 with its registered office at Unit B-05-3A, 5th Floor, Block B (West Wing) PJ8 Office Suite No. 23, Jalan Barat, Seksyen 8, 46050 Petaling Jaya, Selangor Darul Ehsan. BioM is a wholly-owned subsidiary of Masteel and as the date of the Agreement, the issued and paid up capital of BioM is 10,000,000 ordinary share of RM1.00 each. 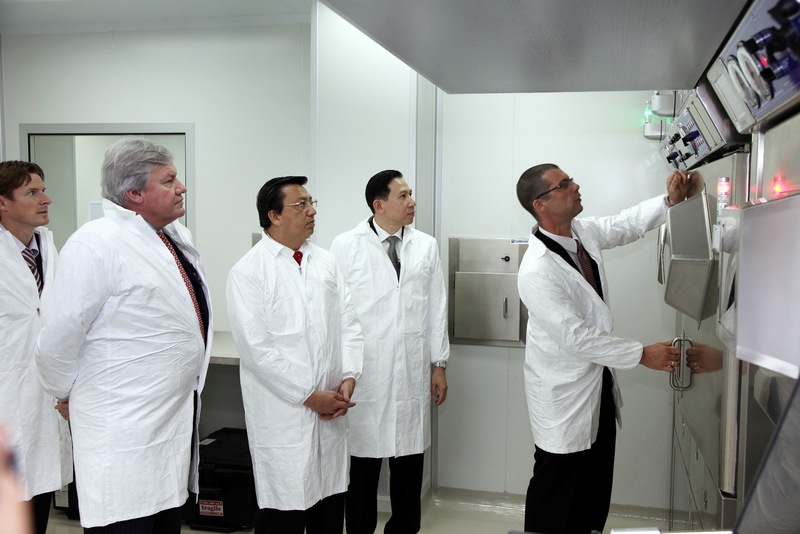 BioM is principally engaged in the business of manufacturing and research and development of radioisotopes and radiophamaceuticals products for Positron Emission Tomography (PET). 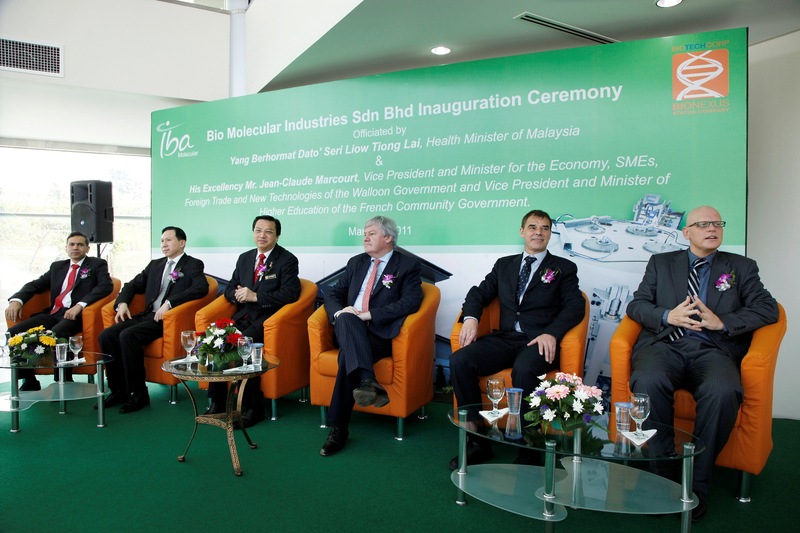 BioM has also been awarded as a “BioNexus Status Company” by the Malaysian Biotechnology Corporation Sdn Bhd. IBA is a company incorporated under the laws of the Kingdom of Belgium having its principal office at Chemin du Cyclotron 3, 1348 Louvain-la-Neuve, Belgium and a wholly-owned subsidiary of Ion Beam Application S.A. (“IBA SA”). 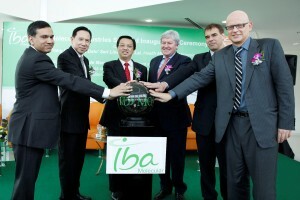 IBA SA is listed on the pan-European stock exchange EURONET, and is included in the BelMid Index. IBA SA develops and markets leading edge technologies, pharmaceuticals and tailor-made solutions for healthcare with a focus on cancer diagnosis and therapy. Leveraging on its scientific expertise, the company is also active in the field of industrial sterilisation and ionisation. IBA Pharma was acquired by SK Capital Partners in 2012 and was subsequently acquired by CapVest Investment Fund in March 2016. The last acquisition has led to rebranding of IBA Molecular to Curium Pharma. BioM has increased its paid-up share capital to RM20,120,000. Masteel’s shareholding in BioM had increased to 48.25% of the issued and paid-up share capital of BioM. Officiating Ceremony by Dato’ Seri Liow Tiong Lai and H.E. Jean Claude Marcourt. Also present were (from left) Mr. Manoj Sahasrabudhe, Y.B. Dato’ Sri Tai Hean Leng, H.E. Marc Mullie and Mr. Philippe Hermans. [Left] Press conference: (from left) H.E. Marc Mullie, H.E. Jean Claude Marcourt, Mr. Christophe Denis, and Mr. Philippe Hermes. [Right] Press conference: (from right) Y.B. Dato’ Sri Tai Hean Leng, Y.B. Dato’ Seri Liow Tiong Lai and several distinguished guests. Honorable guest (from left): Mr. Manoj Sahasrabudhe, IBM President Asia Pacific including Japan, Y.B. 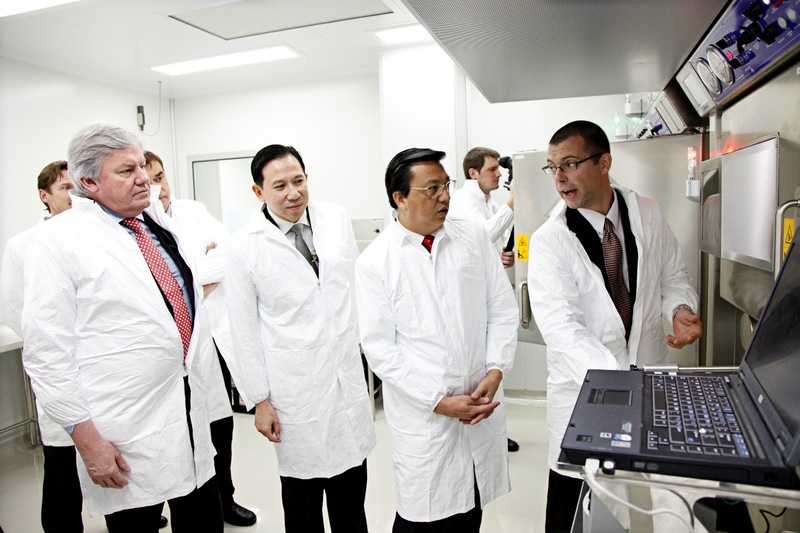 Dato’ Sri Tai Hean Leng, Executive Chairman of BioM, Dato’ Seri Liow Tion Lai, Health Minister of Malaysia, H.E. Jean Claude Marcourt, Vice President for the Ecomonic, SMEs, Foreign Trade and New Technologies of the Wallon Government and Vice President and Minister of Higher Education of the French Community Government, H.E. Marc Mullie, Ambassador of Belgium and Mr. Philippe Hermas, co-CEO Societe Belge D’ Investisement International S.A. (SBI). Left: Gift presentation to Y.B. Dato’ Seri Liow Tiong Lai by Mr Manoj Sahasrabudhe, also present was Y.B. Dato’ Sri Tai Hean Leng. Right: Gift presentation to H.E. Jean Claude Marcourt by Y.B. Dato’ Sri Tai Hean Leng, also present was Y.B. Dato’ Seri Liow Tiong Lai. Left: Gift presentation to H.E. Jean Claude Marcourt by Y.B. Dato’ Seri Liow Tiong Lai. Right: Gift presentation to H.E. Marc Mullie by Y.B. Dato’ Sri Tai Hean Leng, also present was Y.B. Dato’ Seri Liow Tiong Lai. 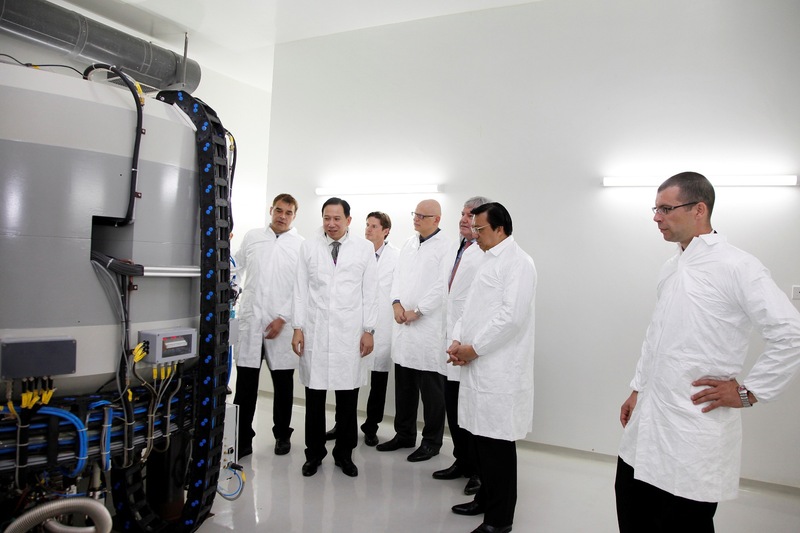 Left: Guided facility tour by Mr. Nicolas Yves Bruiez (right), General Manager of BioM. Right:Y.B. Dato’ Sri Tai Hean Leng briefing Y.B. 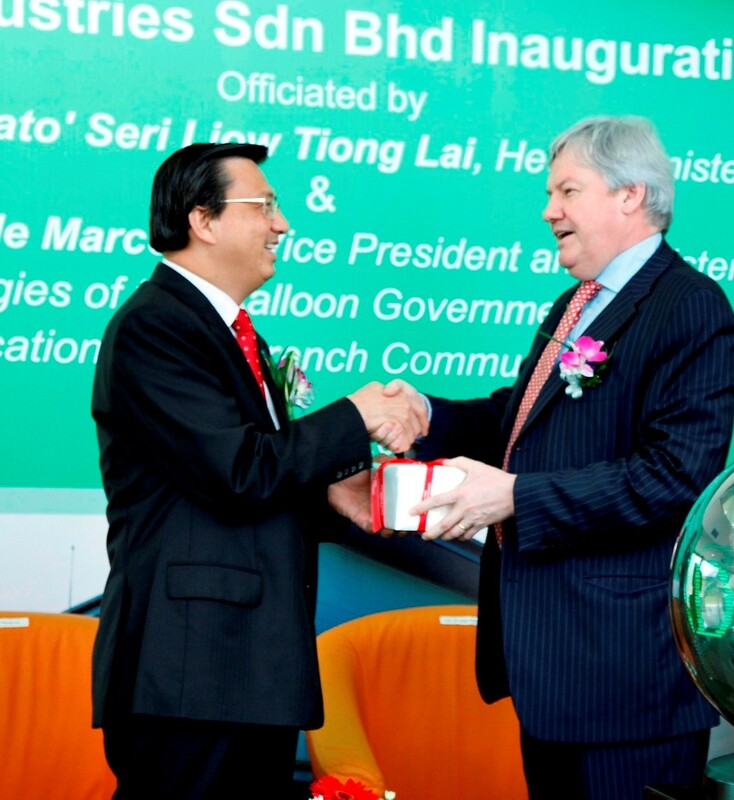 Dato’ Seri Liow Tiong Lai (from right), H.E. Jean Claude Marcourt, Mr Philippe Hermas, Mr. Christophe Denis and H.E. Marc Mullie. Right: Mr. Nicolas Yves Bruiez (from right) demostrating to Y.B. Dato’ Sri Tai Hean Leng, Y.B. Dato’ Seri Liow Tion Lai, H.E. Jean Claude Marcourt and Mr Christophe Denis on the Hotcell operation.